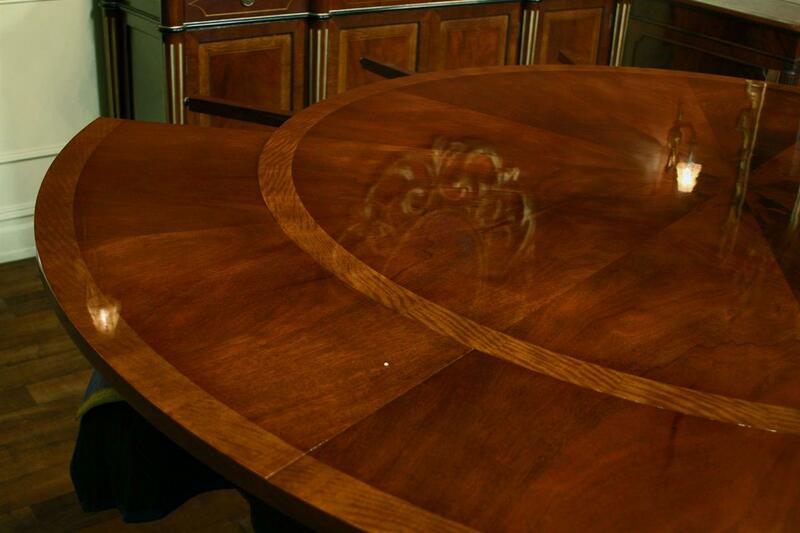 Round mahogany dining room table with satinwood bandings is a classical Adams style table. 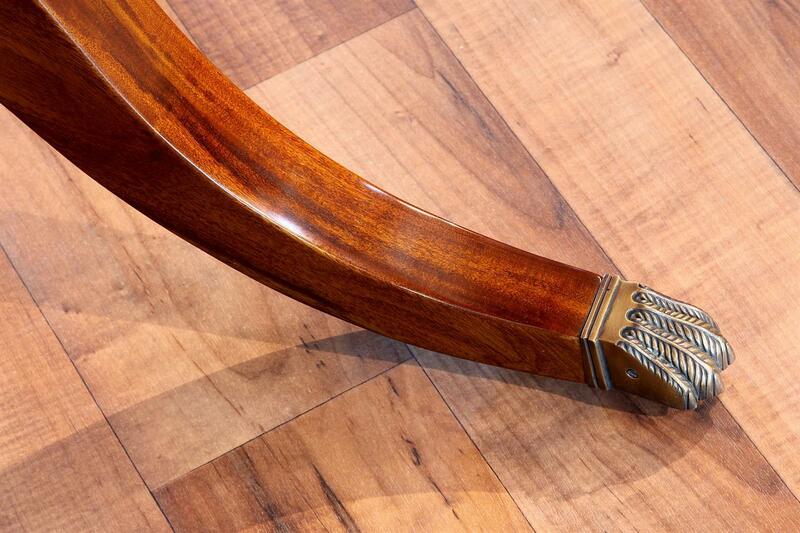 Solid mahogany pedestal legs which is feathered to reduce chances of chacking. 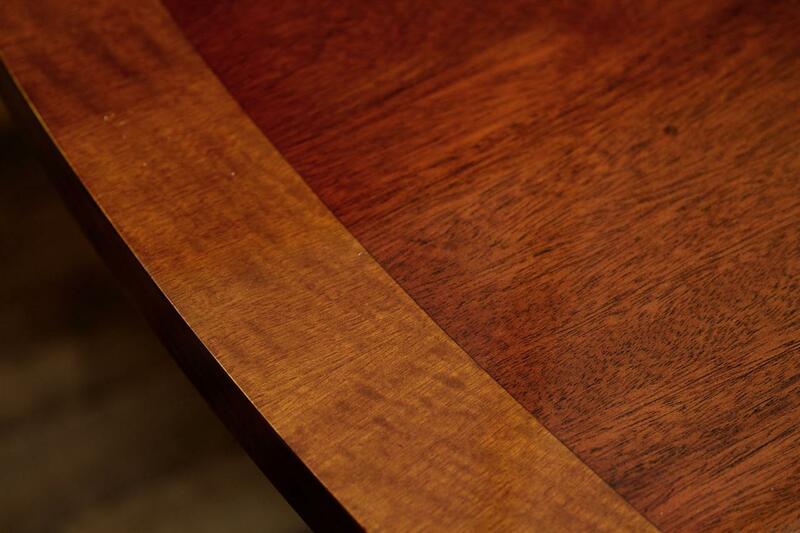 Red mahogany shown on left, Brown mahogany shown on right. 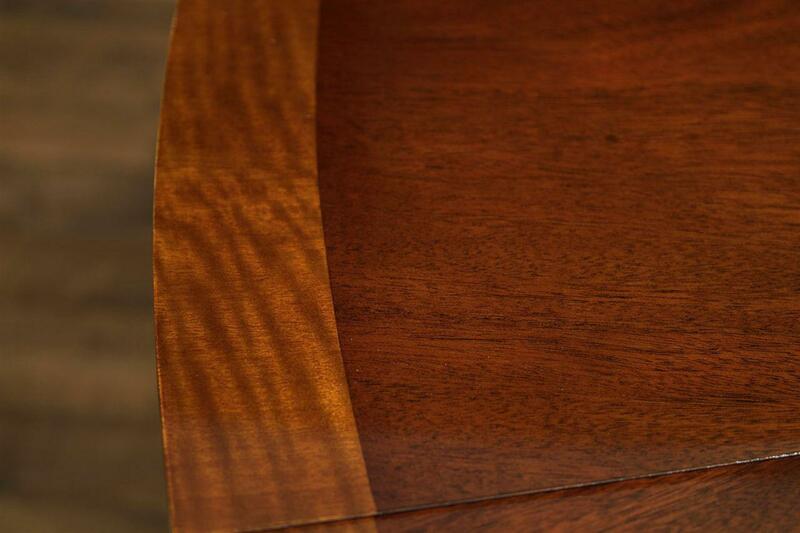 True color of our satinwood banded mahogany shown on a color sample. 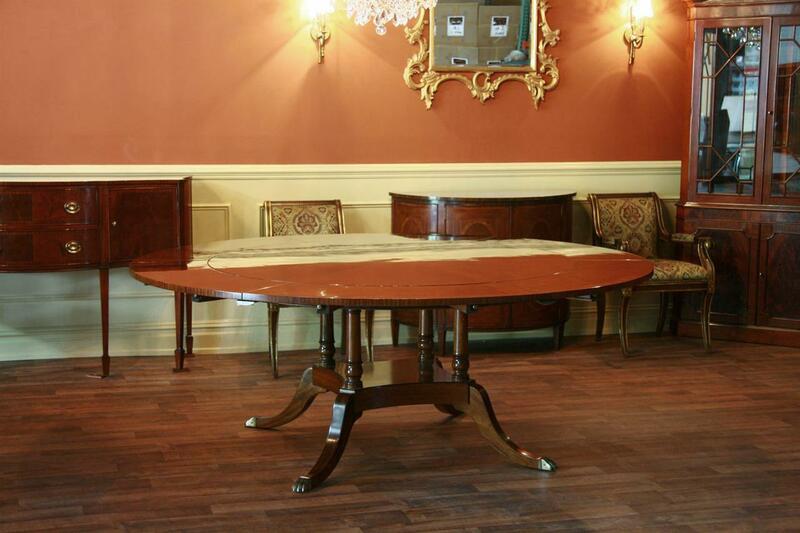 Description: Round expandable dining table with with Adamas style satinwood inlays. 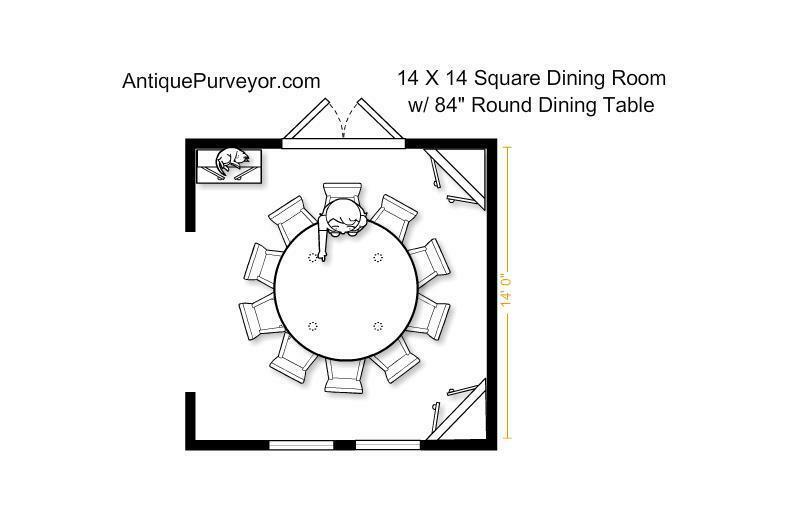 Traditional round dining table on birdcage pedestal with expandable leaves, this table can be used at 60 inches round or 84 inches round for 6 to 10 persons. This is our most traditional round dining table with perimeter leaves, which is less striking and classical in design featuring simplistic Veneers for a subtle appearance in your space. 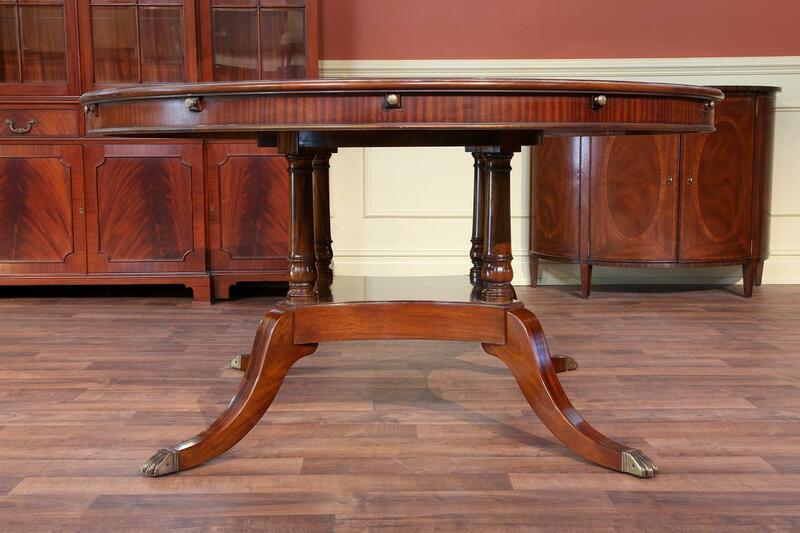 A perfect choice reproduction dining table which will coordinate very well with other Adams style furniture or genuine antiques which you may already have in the home. 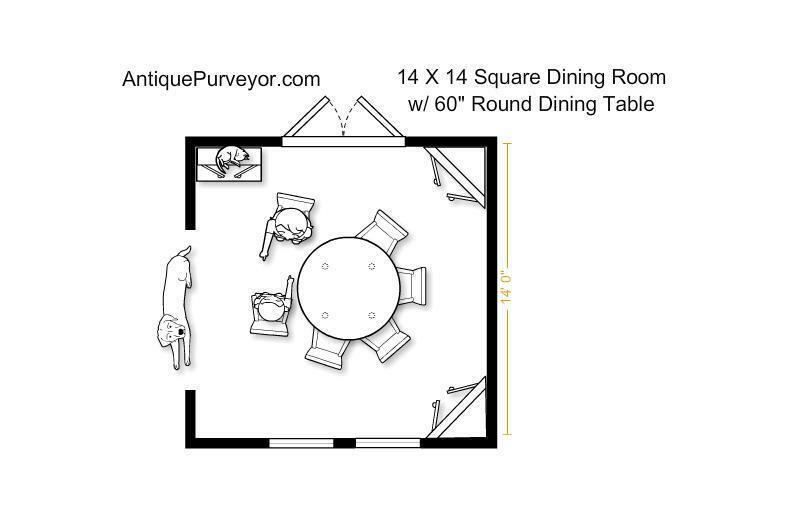 The wide birdcage pedestal will hold the table sturdy in any configuration, whether set for 6 or 10 people. 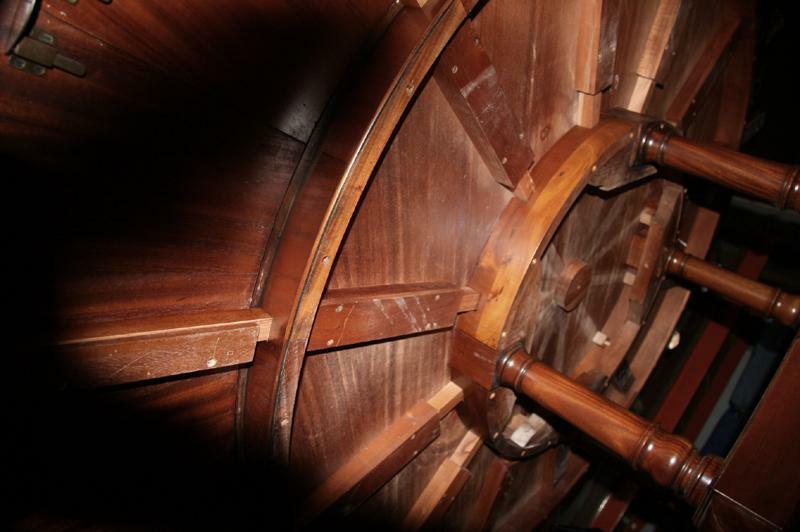 The pedestal is solid mahogany and the legs are feathered mahogany to greatlyt reduce the chances of cracking due to natural tendacies (one of the pictures show these mahogany layers). 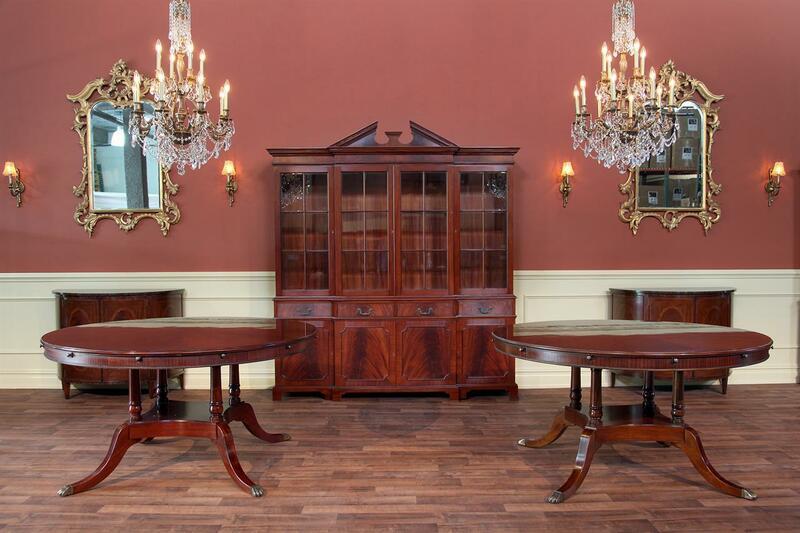 This model mahogany dining table is available in red or brown mahogany finish. 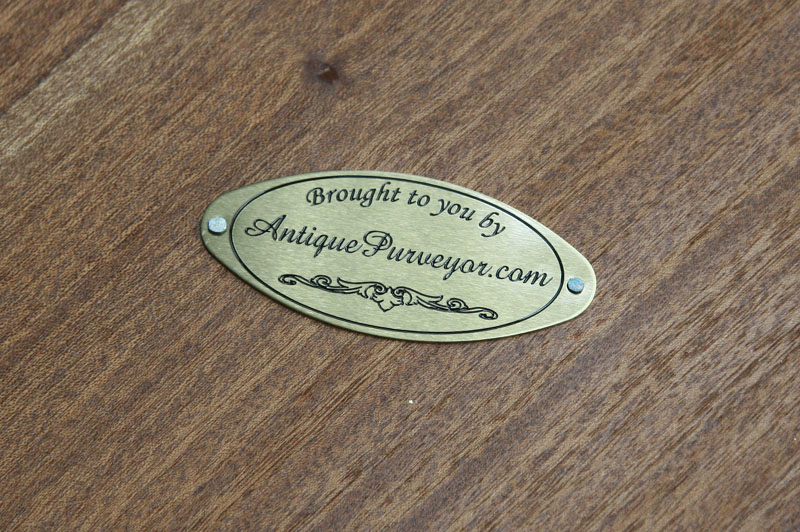 This perimter table has a neat feature which is apparant on its leaves. The leaves have fitted brackets which will hold the leaf into place while you assemble the table into larger configurations, this greatly reduces the chances of dropping a leaf while adding them aroundf the table. At 60 inches round you will appreciate the apron which runs around the perimter of the table and the leaf slides have brass pulls which add some character to the table while in this smaller configuration. 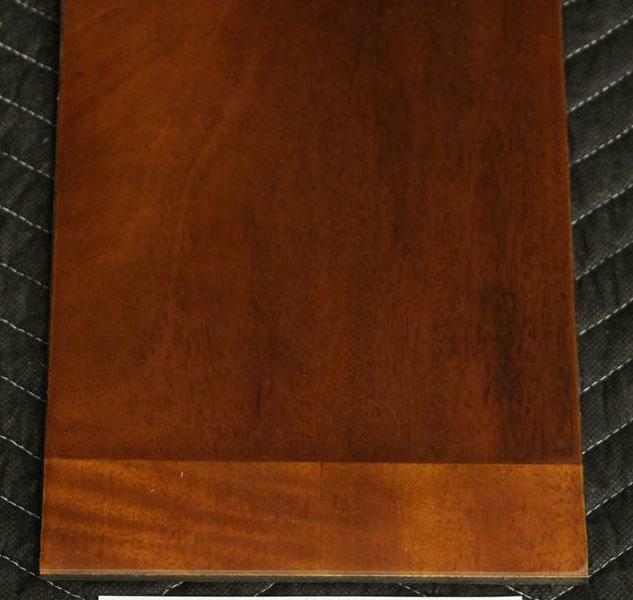 Flame mahogany 60 to 84 inch Hepplewhite or Sheraton style perimeter table seats 6 to 10 people.